Action Replay Code Manager is a product developed by Datel Design & Development. We know of versions 1.2, 1.0. Version 1.25 is downloadable at our site. Action Replay Code Manager distributive has a size of 8,973,836 bytes. 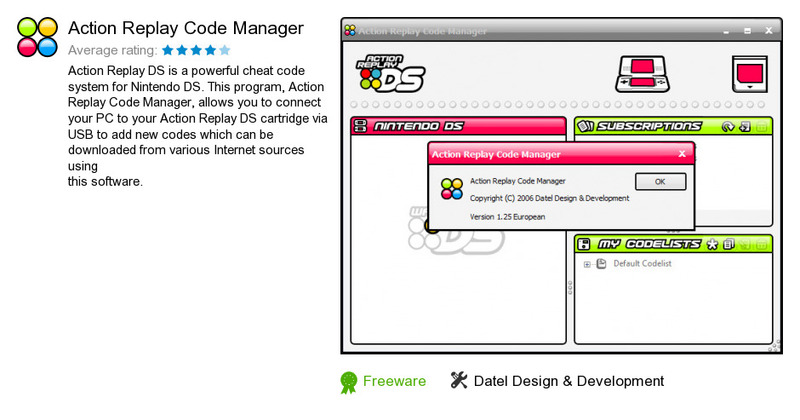 Datel Design & Development also publishes Action Replay DSi Code Manager.